When it comes to building a standout tennis club, Anthony DeCecco is all about his three-part checklist. First, he looks at the facility’s overall quality, including courts, heating and air conditioning, and lighting. He then moves to staff, where he looks for versatility, knowledge and teaching ability. Finally, he takes a look at available programming for the players. After 26 years at Tennis Addiction, DeCecco feels confident in all three. 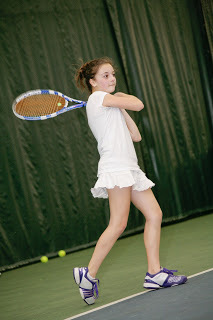 A Middle States Premier Facility in 2013, Tennis Addiction fits the mold of a top place to play. And DeCecco, now the President and Owner of Tennis Addiction Sports Club, says his goal is to keep that going. Based in Exton, Pa., Tennis Addiction offers USTA programming for players of all ages, including 10 and Under Tennis, Jr. Team Tennis and USTA League Tennis. 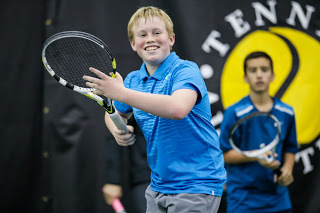 The Tennis Addiction USTA League teams (there are about 30 of them) are regulars at Middle States Section Championships, with many advancing to USTA League National Championships over the years. The players at Tennis Addiction range from beginner to advanced, but whatever the level, DeCecco said he and his staff pride themselves on providing the best for everyone who walks through the door. The facility has had recent renovations that include state-of-the-art lights, roof, locker rooms and lobby, and management is continuously looking for the next big project. Blended lines was a major project throughout the years, and they now make Tennis Addiction as kid-friendly as possible for the 350-plus juniors who play there. An up-to-date facility makes for a nice place to learn and play the game. Former tour player Dave DeLucia is one of the many teaching pros on hand, and each pro is required to take part in trainings and new education every year. The facility also offers personal training, a gym, and group fitness classes to compliment a day of tennis. As strong as the play opportunity is, the community involvement and life skills through tennis continue to be a driving force behind Tennis Addiction, especially in regards to junior programming. That starts with the staff, which is required to give back through community service and volunteer work. They also keep in touch with the parents by educating them through clinics and non-stop communication. Location is another benefit of the facility, as Tennis Addiction is just two miles off the Pennsylvania Turnpike and easily accessible from a number of areas. For more information about Tennis Addiction, click here.